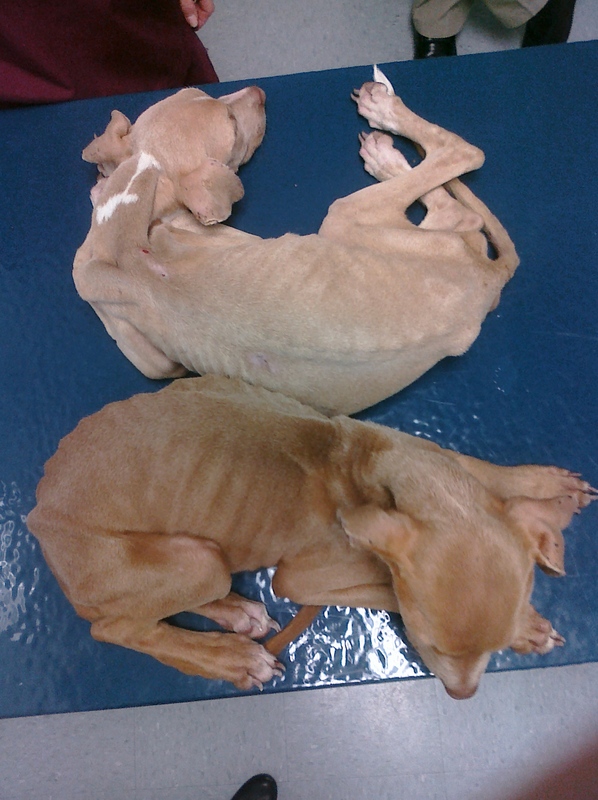 A Houston charity needs help saving these two dogs found crossing a highway, near starvation. They are currently being treated at Abbott Animal Clinic where donations are being accepted. Read the story for details. We are Adopt A Rescued Friend. We are a start-up 501(c)3 non-profit rescue of unpaid volunteers that foster in-home. We rely on donations, public support to help us care and home for the dogs. When that is not available, we pay out of our own pocket. Due to treating sick animals, up keep on healthy ones, and being a start up rescue, we were already in dire need of help before Crimson and Clover arrived. The medical care that these babies are going to need is extensive. They were found running across 525, near Lee Road, and a good Samaritan brought them to us. Crimson is the red, and Clover is the blonde. They are 10 month old pit bull mix’s. They weigh 12-13 each, and their weight should be twice that. And they are very small for their age. We received them Monday Night (11/2). First thing Tues morning (11/3) we brought them to Dr. Javiad at Abbott Animal Clinic, and knew if nothing else, we could end their pain. They weren’t even registering a temperature, could not keep food down, and were actively dying. The chances of them surviving weren’t very good. Due to the fact that they have survived 10 months and we knew that they had the will to live, Dr. Javaid thought they had a chance and should give it a try. If anything, they would not die alone and unloved. These pictures were taken Tuesday evening, we were finally able to register a temperature on one of them. They have been on IV since Tues. It was difficult to get an IV in them due to their veins collapsing. On a good note, they are heartworm negative, which is a major advantage for them. As of Today, they are alert, eating, and regulating the temperature. But they are nowhere out of the woods yet. They still have ways to go. Currently looking at hospitalization, IV, feeding them 4-5 times a day, and Vitamin B injections for undetermined amount of time. We are just taking it day by day at the moment, but every day they are getting a little better, a little stronger. We are in debt due to addressing what medical issues we can for our other fosters, and even then we are unable to address all of them. In addition to spay/neuter, shots and care for the healthy dogs, we are trying to care for the ones that aren’t lucky to have stayed healthy. We have 5 or 6 dogs who need heartworm treatment. Normally this would run $1,000 but our vet does the treatment for only $300.00 each. Freddie, 1 year old Catahoula / Hound mix, has hip dysplasia and needs surgery. This normally would be around $3,000 but again a vet has offered to do the surgery for only $750. Peanut, a 10 month old purebred Shih-Tzu, has a medical condition that is rarely seen in Huskies and German Shepherds… Crimson and Clover’s vet bills are already adding up; the first day was $350.00 each, and each day after that it is $100.00 each. We needed to give these girls a chance, and they are going to get better, but I am afraid that without help, this may cause us to go under. We do this for the love of the animals, and our fosters spend more on them out of our own pockets than what we get in donations. Plus being a start-up is not in our favor. We spend more money getting these babies healthy than we get in donations and adoption fees. Anything that can help would be deeply appreciated, and for those who are concerned, donations and sponsorships are tax-write offs. We have our website: www.AdoptARescuedFriend.org , which I do apologize, is in need of updating. There is a donation button on the bottom for PayPal, and our PO box for mailing checks. 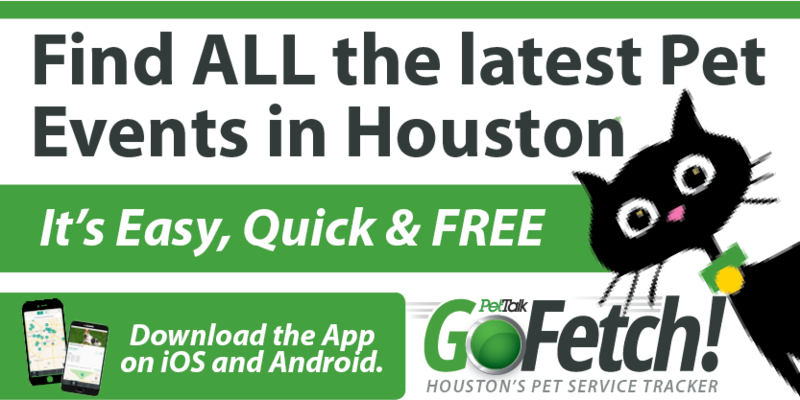 A donation can be sent directly to Abbott Animal Clinic. * We will send you a tax receipt, if requested. We prefer PayPal to be the last choice because they do charge us a percentage of every transaction. We can email you an invoice or go to our website, scroll to the bottom and click on donate. www.adoptarescuedfriend.org – (Please don’t judge the website too severely; we were just getting a new one started when we decided we needed to throw something together for this. * This will also give you your tax receipt. If anyone has the ability and desire, we will need a foster for Freddie for 50-60 days after his surgery. He is house-trained, laid back, lap dog. But he needs to rest while recovering and he can’t really do that with 20 other dogs in around (5 of which are his mom and 4 litter mates). Since he would be in recovery, he might have a couple of vet visits but if transportation is an issue, we will gladly arrange something. Basically, all you would need to do is love him and watch for any bad changes. If anyone would like to see pictures of Freddie (1 year old Catahoula / Hound mix) or Peanut (10 month old Purebred Shih-Tzu) or follow ups, we will gladly get them to you. Please do not hesitate to contact me if you have any questions, and we would really appreciate any help. The plight of these two pit-mix pups has me in tears.I am contacting you to offer to get you further coverage in my new articles.The Examiner has just today graciously accepted my application to join their staff.My articles will be covering Roadside Puppy Vendors,and other various articles.If you wish, I more then happily will do an article about these and any other sweet babies that you may have if it will aid in your cause.At present my writing is all I have to offer,I wish I could do more.The only cost to you would be the time to email any information you’d care to share.And I know you have very little precious time doing all you do.God Bless You All.